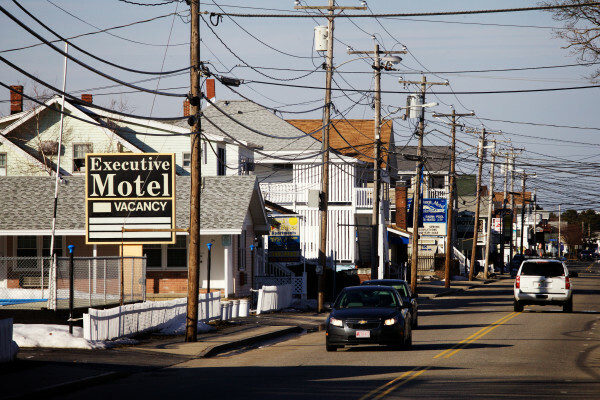 An April 2, 2015, file photo of East Grand Avenue in Old Orchard Beach, in York County. ALFRED, Maine – The York County Commissioners and part-time Probate Judge Robert M.A. Nadeau are embroiled in a contest over changes to the court schedule that commissioners charge have created a backlog and that the judge willfully made after they denied him a raise in pay. The commissioners’ charges are contained in a five-page findings of fact written earlier this month based on testimony at a hearing on the issue in October. The accusations are the most recent against the judge, who is facing disciplinary action before the Maine Supreme Judicial Court on Judicial Code of Ethics violations. The issue before the commissioners began last April, when Nadeau asked the commissioners to increase the number of days he works, from the current two days a week at an annual salary of $48,498 to either three days ($90,000) or five days ($120,000) a week. Commissioners concluded Nadeau could continue to adequately perform his duties two days a week, based on information provided by Register of Probate Carol Lovejoy. They did raise his pay to $54,000 a year. In the next several days, according to documents attached to the findings of fact, Nadeau told Lovejoy, among other things, to block off time for research and writing, restrict the number of cases he would hear and reschedule hearings from Wednesday and Thursday to Monday and Friday – a change commissioners charge allows Nadeau not to work on Monday holidays when the courts are closed. Nadeau has said in both an eight-page letter and subsequent email to County Manager Gregory Zinser that he made the changes so the cases that come before him receive an adequate amount of his time. He switched to Mondays and Fridays, he said, so he can prepare on Fridays for Monday action. Zinser said in a subsequent interview that because Nadeau is an elected official and a judge, the commissioners can only request that he make changes but can’t force him to do so. He said the court loses about six days of court time under the current schedule, due to Monday holidays. Zinser said Nadeau is mingling contested, uncontested and routine matters together to make his case. He said routine matters like name changes take as little as five minutes of the court’s time. There has always been a backlog of contested matters, he said, but before April it was only a two-week backlog. Now it is considerably longer. Meanwhile, the SJC is considering an ethics infraction case against Nadeau, who also has a private practice in Biddeford. According to court documents, other lawyers have charged that Nadeau created a website for his job as probate judge that linked to the website of his private practice. Past cases against him include a 2007 SJC suspension and a 2006 Board of Bar Overseers reprimand.